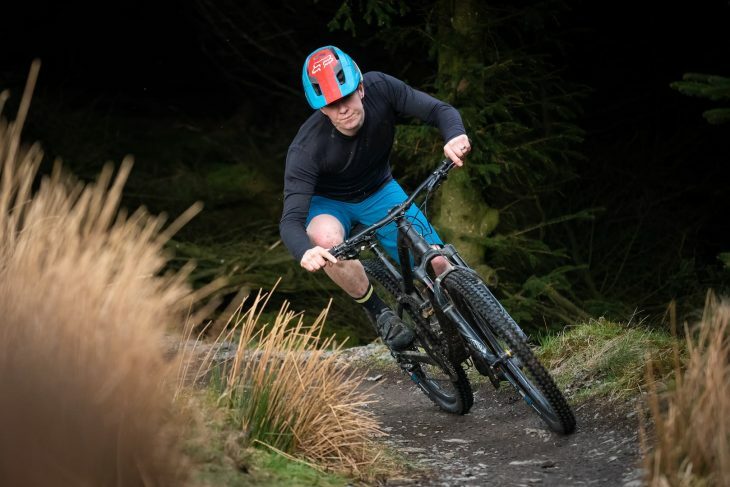 Having tested about a kerbillion tyres on his unforgiving home trails in the Lake District as part of last year’s High Tech Trail Tyre Group Testr, James Vincent has become our resident go-to expert of all things round and rubbery. So when we received a new set of enduro-worthy Flow Snap tyres from VEE Tire Co, who were we gunna call? The tyre-buster himself of course. Over to James! 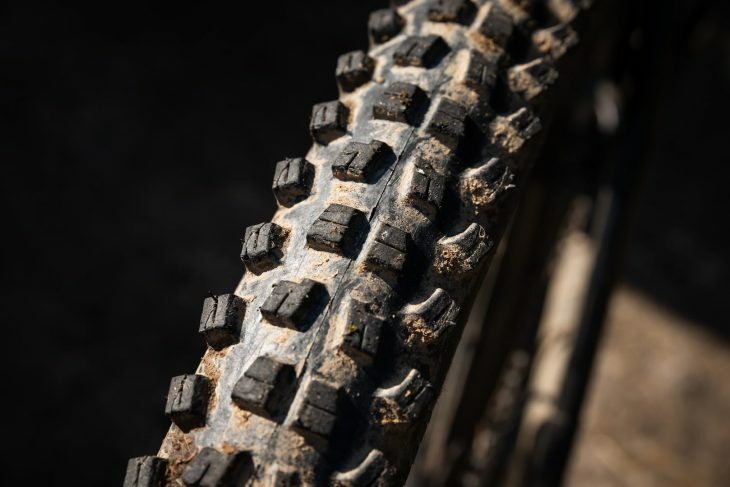 Though most of you will be familiar with the big players in the rubber game (brands like Maxxis, Schwalbe, Continental, Kenda and WTB), if I was to ask you to name a tyre from VEE Tire Co, I have a sneaking suspicion that most of you would be hard pushed to come up with answer. 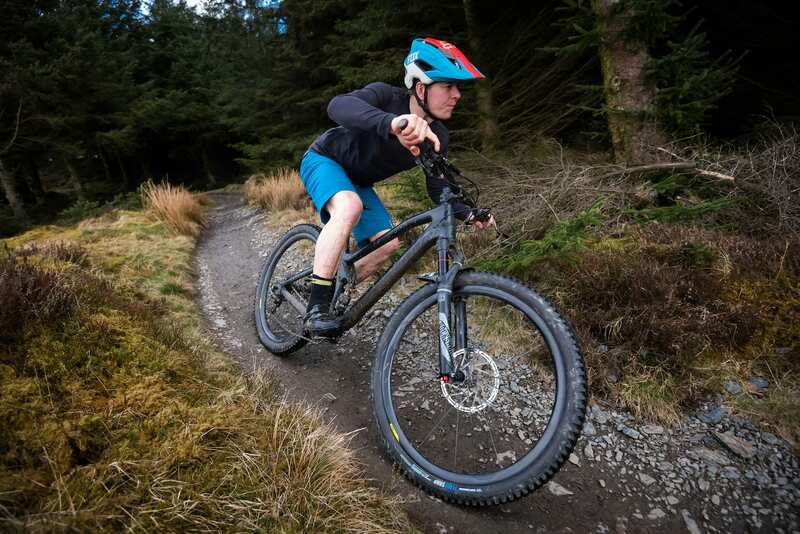 Well, that is unless you rode a fat bike, or read our High Tech Trail Tyre test last summer). 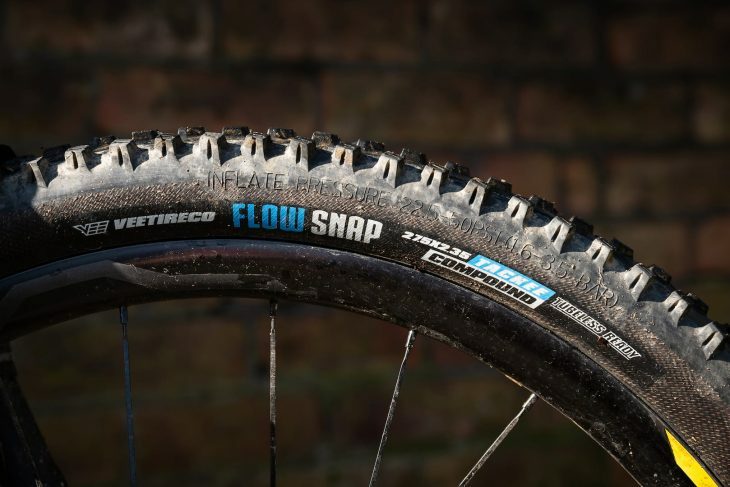 The Flow Snap is one of VEE’s newest tyres, and it’s designed for the rough ‘n’ tumble side of trail riding and enduro racing. However, VEE Tire Co. has been on a big push lately to help broaden its reputation, and the brand is very much hoping that the Flow Snap will go some way to setting the record straight and bring it some much-needed attention. To find out if it is well-deserved attention, lets take a closer look at these chunky tyres I’ve been riding for the past few months. The unique tread pattern delivers outstanding grip through the turns. 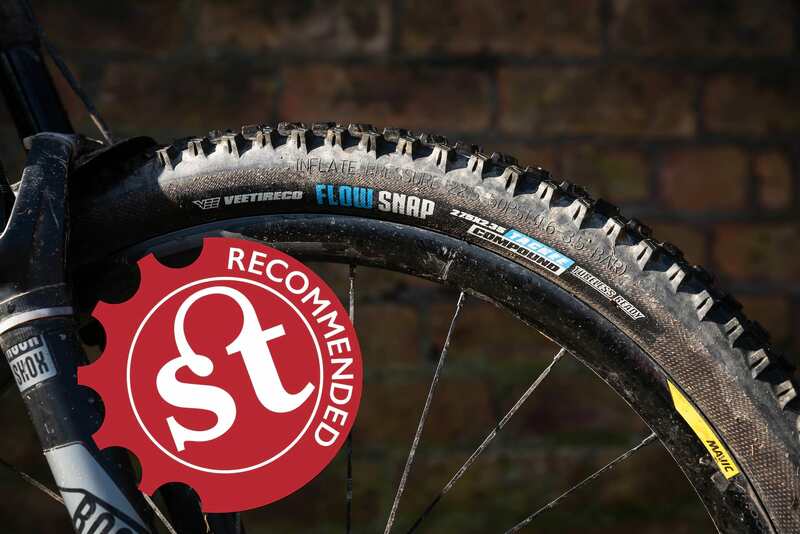 According to VEE’s website, the Flow Snaps are a “universal and polyvalent gravity tyre, created for a variety of different conditions from mud to dry or loose terrain”. So pretty much an all rounder then, and not designated front or rear specific either. The tread pattern is unique in that it’s not a Maxxis Minion DHF or motocross wannabe, but is somewhat reminiscent of a Panaracer Dart with its heavily angled shoulder knobs. Unlike the 90’s legend though, the centre tread benefits from 20 years of experience and is a damn sight better at stopping than the Dart ever was, thanks to the squared off leading edge of the centre blocks. Onto the single ply Enduro Core casing, and rather unusually for a tyre of this size and intention, the Flow Snap casing is strung together with 72 threads per inch, when most mountain biking tyres tend to have either a 60tpi or 120tpi casing. The Enduro Core casing is paired to a relatively hard dual compound mix. There’s a soft 48a rubber compound on the pronounced shoulder knobs for cornering traction, and a firmer 54a on the centre tread for lower rolling resistance and improved durability. The reinforced Enduro Core casing helps to keep the Flow Snap nice and stable at low pressures. 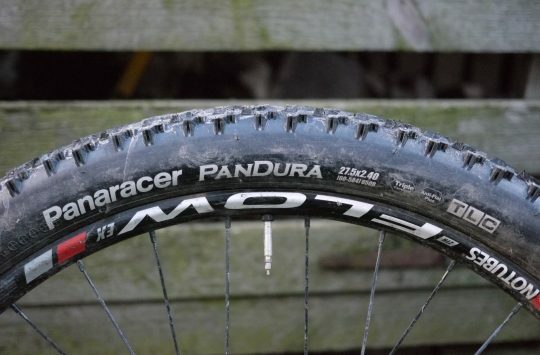 There’s no way to sugarcoat it – these are quite simply the hardest tyres I’ve ever tried to fit – bar none. On various rims including Mavic XA Pro Carbons and Spank Oozy 345s, they were such an insanely tight fit that they nearly broke my tyre levers, and then my spirit. A spot of washing up liquid on the bead helps massively though, and one benefit of being so tight is that they popped up tubeless with just a few hits from a regular track pump – there is no need for a compressor at all with these. This did mean that I really didn’t want to puncture these out on the trail, as I reckon I’d be facing a very long and frustrating walk back home. Fortunately, they’ve been pretty bombproof so far, and while I did put a hole in the front tyre during a day of testing to see how low on pressure I could get away with (*spoiler alert* – it was 20psi on the front), the hole was easily plugged with a tubeless repair kit at the trail side, and they haven’t given me any grief since. Depending on the trail at hand, I’ve now settled on running these at 21-25psi up front, and 24-28psi out back. Straight line hardpack isn’t this tyre’s forte, but it’ll still pin it through the corners. Thanks to their harder casing, the Flow Snaps initially feel too rigid – almost like you’ve overinflated them. As a result, they’re not a very forgiving or comfortable tyre at slow speeds. However, once the speed ramped up and my confidence grew in the tyre’s capabilities, I was able to push them harder and harder, without any hing of them folding underneath me thanks to this extra support. As we discovered last summer in our huge tyre group test, personal preference and how an individual’s riding style interacts with the profile of a tyre plays a huge part in how said individual gets on with said tyre. Personally, I really enjoy a tyre with more pronounced shoulder blocks and a squarer profile, so I really got on well with the Flow Snaps, leaning them over and finding the limits of cornering traction. And at the limits of adhesion, these are a lovely, predictable tyre. I’ve felt the front start to drift away from me on a couple of occasions and unlike some other tyres, at all times I’ve been able to pull it back from the brink, straighten things up and carry on. Winner! Thanks to the firm centre tread compound, the Flow Snap rolls surprisingly well given its weight and burly tread pattern. In a straight line, braking grip is very good, on both wet rock and in loose mud – the harder compound centre knobs do a fine job of keeping their shape rather than getting all squirmy and deforming. The Flow Snaps do work best when they’ve got something to dig in to though, so while they roll quickly, they wouldn’t be my first choice for hardpack trails. Climbing traction is very good for a non front/rear specific tyre, especially when you consider how little rolling resistance there is – that 54a durometer compound really helps things zip along. Jumping straight from a much lower profile rear tyre, I didn’t notice much difference (if any) in drag, and on a wet and sloppy day in the Tweed Valley, my legs were giving out long before the Flow Snaps ran out of climbing traction in the mud. Aside from the tricky installation, my only reservation is that the shoulder knobs on the rear tyre started looking pretty worn after only a few rides. Admittedly this was in the heart of the Lake District on some brutally rocky terrain, but still, it’s something worth considering. Fortunately, overall grip hasn’t disappeared like it has with some other tyres I’ve tested, and the Flow Snaps have otherwise stood up exceptionally well to the beating we’ve dished out. 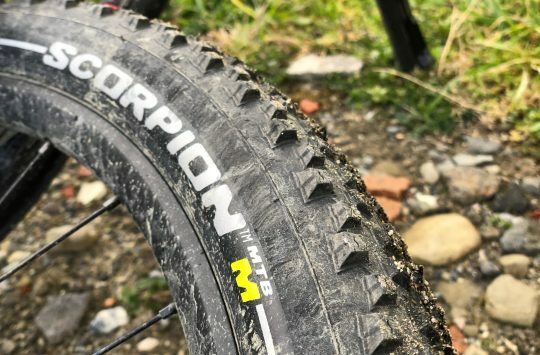 VEE Tire Co. has done mighty well with the Flow Snap Enduro Core tyres – there’s a lot to like about these. 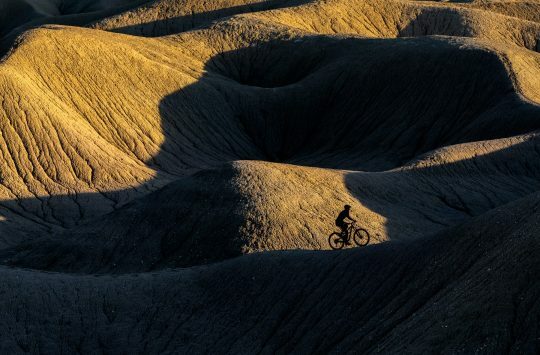 Whether it’s fashion related or otherwise, mountain bikers can get quite tribal about their favourite brand or model of tyre. That means a lesser-known manufacturer has to offer up something pretty damn special to entice people away from the status quo. In this case, I reckon VEE has done it, and they’re onto a winner with the Flow Snaps. 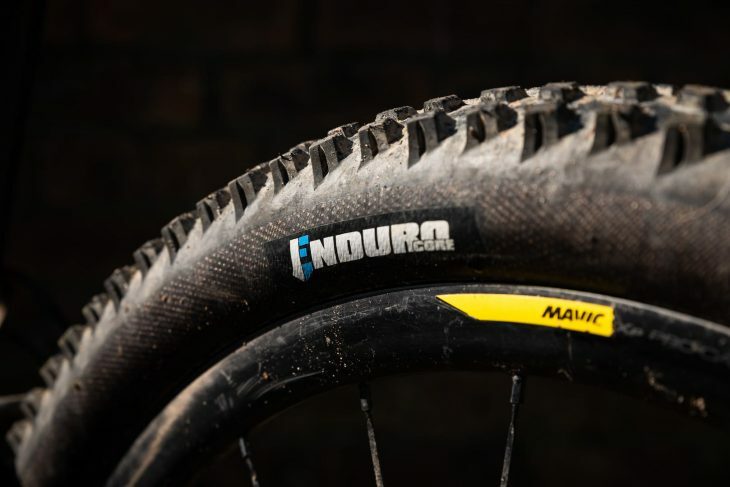 Gobs of cornering grip, predictable breakaway, great climbing traction, and a durable carcass, all in a sub 1kg tyre – what more could you ask for?